Charles Dickens (1812-1870) remains one of the most famous British authors in the twenty-first century. His novels are widely read, taught and adapted into film, television and radio dramas. This interest in performing Dickens' work is not a modern phenomenon: during the nineteenth century, his stories reached far and wide through theatrical adaptations. Dickens was eager to adapt his novels for the stage, yet throughout his life other playwrights, plagiarising the famous author, adapted, altered and performed Dickens’ work. Some of Dickens' earliest work, parts of Sketches by Boz (1833-1836), were produced on stage within months of publication, and episodes from The Pickwick Papers (1836-1837) were performed before the full serialisation was complete. Two of Dickens' earliest novels, Oliver Twist and Nicholas Nickleby proved huge hits for adaptors, many of whom took the liberty of completing the stories on stage before the serialisation had been finished. Dickens was often unimpressed by unauthorised performances of his work; he mocked the plagiarising playwrights in his caricature of the 'literary gentleman' in Nicholas Nickleby and found at least one production of Oliver Twist unbearable. Despite the author's displeasure, the public flocked to the plays. 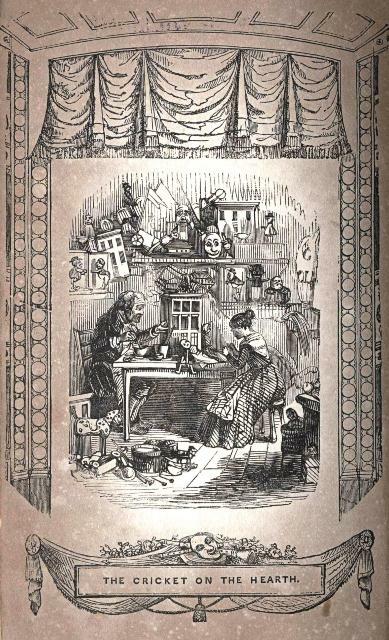 The performances of Dickens' work spread his fame, while at the same time his fame enhanced the popularity of the adaptations. Despite his ambitions as both actor and playwright, it is as an author that Dickens is primarily known. Yet, during his lifetime, it was impossible to divorce Dickens from the theatre, its inspiration and scandal. Even his last, unfinished work, The Mystery of Edwin Drood, was intended to be adapted as a spectacular melodrama in collaboration with that great melodramatic playwright, Dion Boucicault.